One of the most unique and amazing things about Disneyland is the tiny treasures that you find in each land. Extensive theming that goes above and beyone the call of imagineers duty. 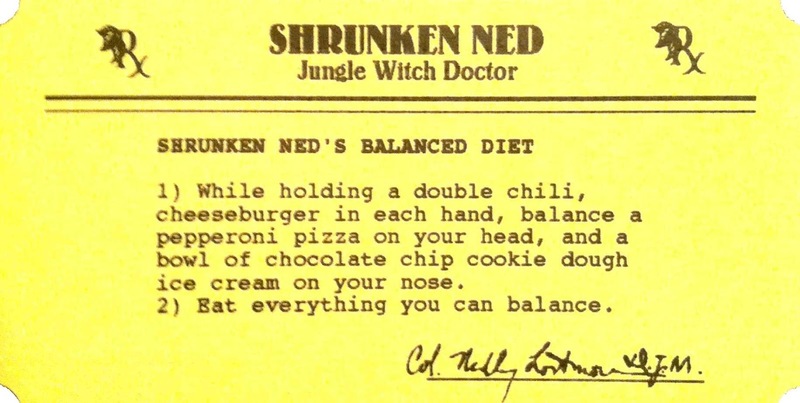 Such is the case of Shrunken Ned, Jungle Witch Doctor. Sure, The Magic Kingdom in Florida has Shrunken Neds Boats...but they are rather standard remote control boats, with little inspiration. 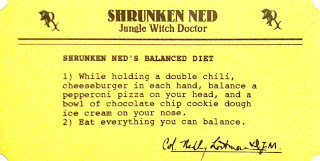 Ned finds himself in a more helpful situation in California, where he displays his wonderful sense of humour in the form of health advise. Just fifty cents will get you a few moments of fun British banter, followed by a card, dispensed at the bottom of the machine. We had a chance to seek Ned's advise a few times on this recent trip and were quite happy with the outcome. 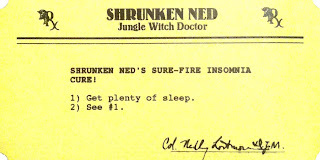 Have you ever seemed the wisdom of Shrunken Ned? Did you love his advise? Let us know! E-mail us at Disneyhipsters@gmail.com or on Twitter @Disneyhipsters.